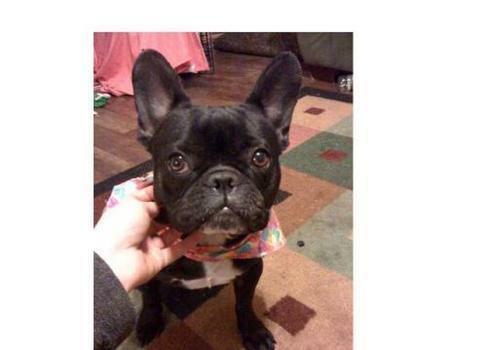 Bunny is a super cute 3 year old French Bulldog. Bunny adores people, and loves attention. Bunny does not get along with most other dogs, she doesn't know she is only 25lbs and will not back down from a challenge! She doesn't go after every dog she sees or acts aggressive all of the time, she just doesn't like them. Bunny would probably do OK with cats, they should easily be able to get away from her, she isn't very agile. Bunny comes spayed, up to date on shots, micro chipped, and current on heart worm preventative. Bunny is crate trained, and house trained. Bunny is looking for her forever home so if one is interested in giving Bunny her forever home please fill out the application above.